In Microsoft Outlook, users may receive various error messages like an unexpected guest whom you may never want to see again. This may occur in any situation with different types of messages. For example, you will receive an error during accessing or syncing messages, sending or receiving messages, etc. in MS Outlook. However, when the users try to close Outlook all of sudden they received an error like “The data file was not closed properly this file is being checked for problems”. Therefore, in the following segment, we are going to fix this error MS Outlook data file not closed properly. Before that, let us discuss all possible reason due to which this common error may occur. Outlook data file cannot be closed if it is already opened by different programs. When several Add-Ins are checked in Microsoft Outlook. When multiple programs trying to integrate with MS Outlook. Then, click on Processes and navigate to OUTLOOK.EXE. After that, press on End Process button. Go to Start button and type Run in the search field. Then, enter “regedit.exe” in the Run dialog box. Under Registry Editor, go to the below path: “HKEY_CURRENT_USER\Software\Microsoft\Office\14.0\Outlook\Addins\“. After reaching towards the location of , click on the numerical sub key and then, add DWORD value. RequireShutdownNotification in the sub key. Right-click on a new value in the details panel and now, click on Modify. Type the digit 1 in the Value Data box. There are multiple programs that can integrate with MS Outlook and capable to restrict Outlook email client from closing but users are unable to view the exact program that is trying to restrict MS Outlook from closing. When Microsoft Outlook data file did not close properly error occurs, users can try disabling all programs. You can see the list of programs below that interacts with Microsoft Outlook and prevent from closing accidentally: disable all such programs. Fax software including metrofax, PamFax, maxemail, etc. Anti-virus program ( Avast, Mcafee, Bitdefender) such as the virus scanner that interacts with MS Outlook). 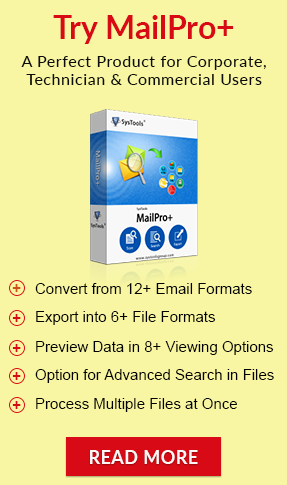 Spam email removal software such as Spamihilator, SPAMfighter Pro. File synchronization software like iTunes, Goodsync. Sidebar MS Outlook: It is the Windows gadget (Vista & Windows 7) which helps to manage Outlook inbox with the sidebar. Skype (View >> Show Outlook Contacts). Find the desired location of SCANPST.exe and then, double-click to open the Inbox Repair Tool. Choose PST file for scanning the entire process and click Start button. There may be a chance that PST file becomes corrupted and users will not able to repair or remove this error message via manual approach. Thus, in order to have a guaranteed solution, a user is highly recommended to use a third-party tool. It is one of the best ways to recover corrupt PST file with minor as well as major data corruption. Also, it helps to export and repair selective PST data items in bulk. When someone else trying to close Outlook at that time they have received an error message like MS Outlook not closed properly. Therefore, in this blog, we have discussed all manual workarounds to fix Microsoft Outlook data file not closed properly error. Else, the users can opt for a reliable third party tool to get rid of all such errors in an efficient manner.